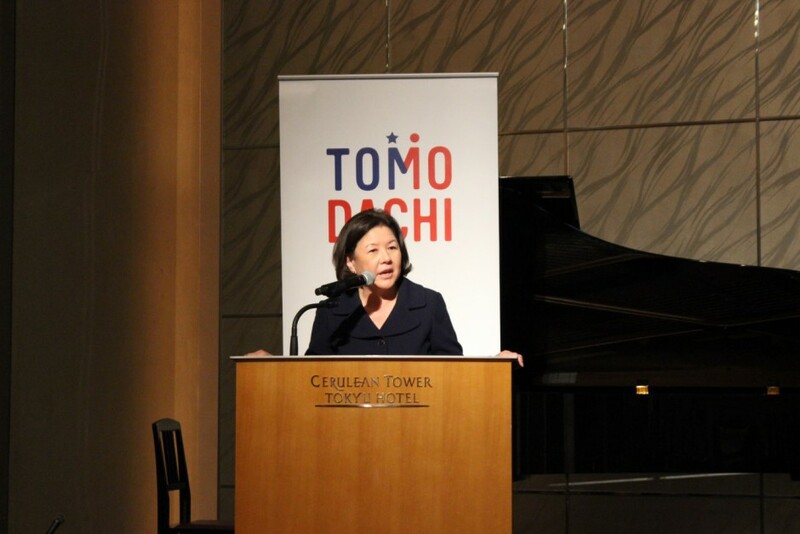 March 10, 2017 – The TOMODACHI Initiative (TOMODACHI), a public-private partnership that invests in the next generation of Japanese and American leaders, announced further support for the rebuilding of Tohoku and the fostering of tomorrow’s leaders at its reception and roundtable held the evening of March 9, 2017. 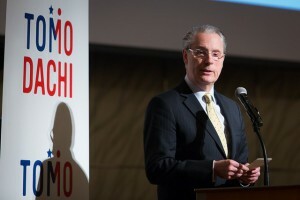 Born out of support for Japan’s recovery from the Great East Japan Earthquake, TOMODACHI is led by the U.S.-Japan Council (USJC) and the U.S. Embassy in Tokyo, with support from the Government of Japan. 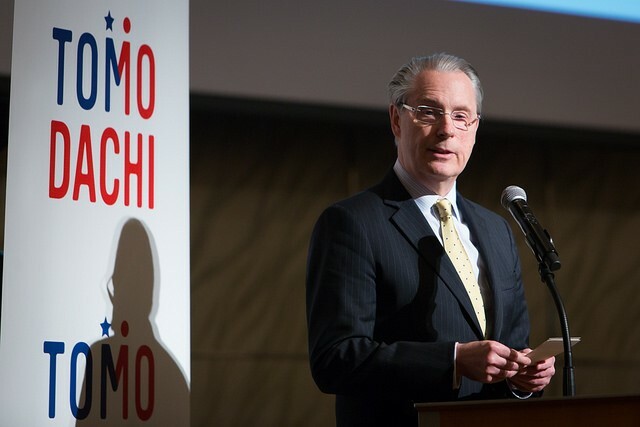 More than 200 distinguished guests, including Chargé d’Affaires Jason P. Hyland, representing the U.S. Embassy in Tokyo, and Parliamentary Vice-Minister for Foreign Affairs Motome Takisawa, representing the Government of Japan attended the reception. Representatives from TOMODACHI’s sponsors and non-profit partner organizations and TOMODACHI alumni also attended. During the reception, Fukushima Governor Masao Uchibori gave remarks, and First Lady of Japan Akie Abe made a toast. 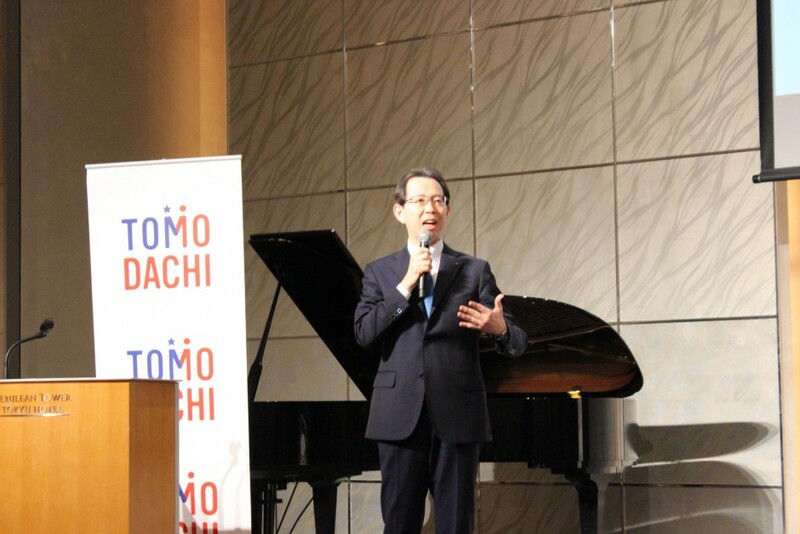 In addition, three TOMODACHI alumni shared how their participation in TOMODACHI programs influenced their decision to become leaders of the next generation. 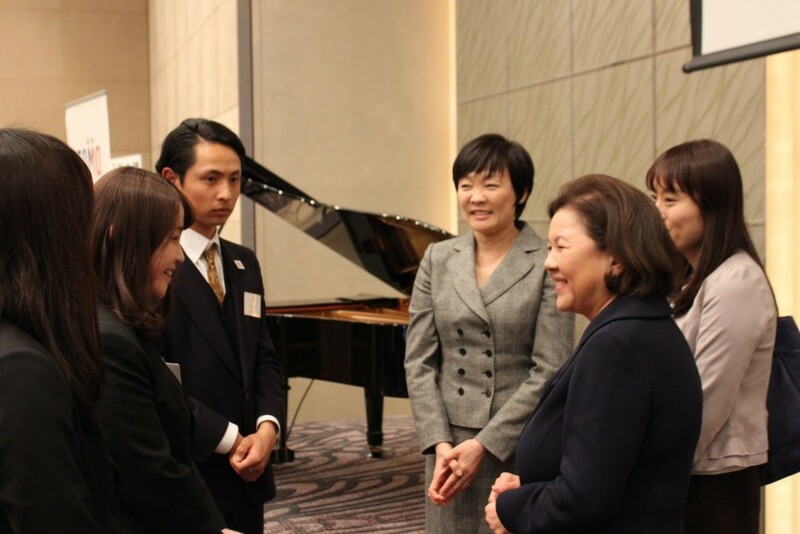 Chargé d’Affaires Hyland, Governor Uchibori, and USJC President Irene Hirano Inouye also discussed the future of Fukushima Prefecture with five TOMODACHI alumni from that area. 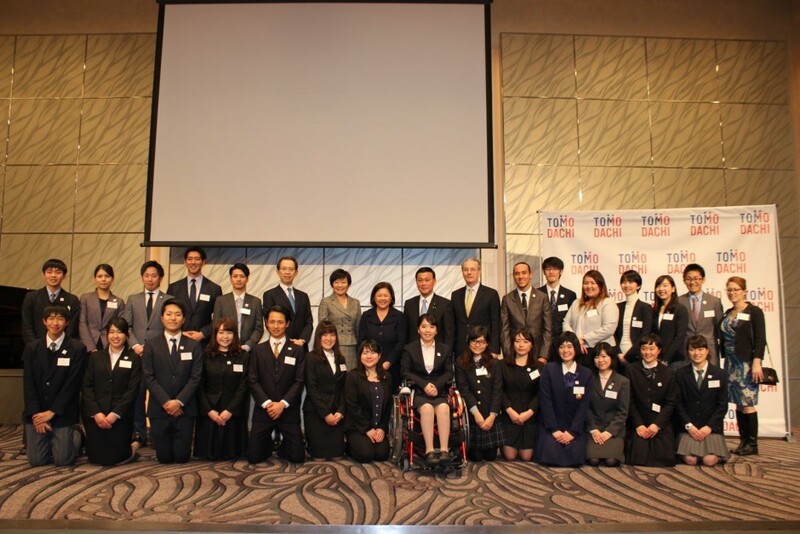 They shared their aspirations as tomorrow’s leaders in shaping the future of the region. and one young professional as the regional mentor. 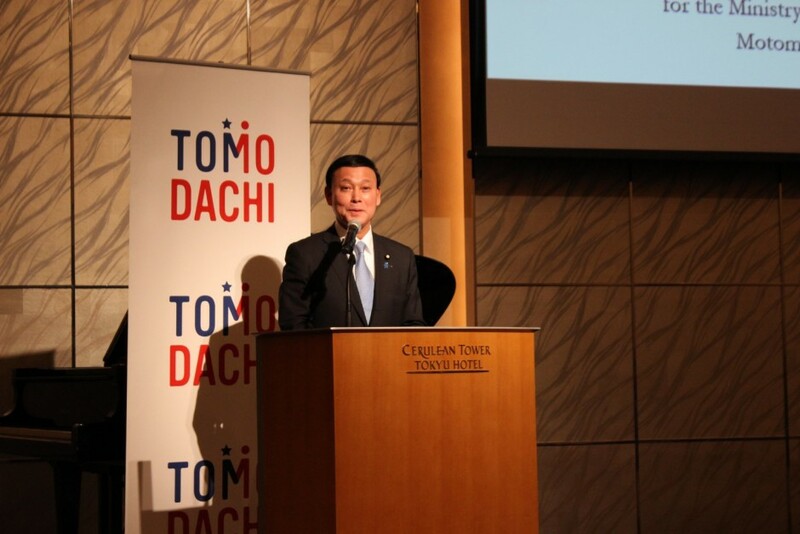 The Framework will offer more opportunities for the TOMODACHI Generation to inspire and empower each other, and develop skills by organizing activities and events in their respective regions. 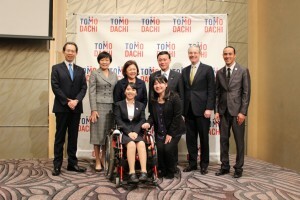 members of the TOMODACHI Generation. 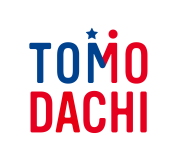 For more information on the TOMODACHI Alumni Regional Framework, click here. 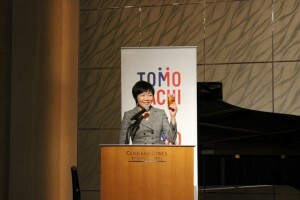 For more information on the TOMODACHI Initiative, click here.